Today we are coming with scarves n stoles, piece of cloth worn around neck for various reasons like religious reasons, in winters for warmth, protection from sun and of course it's fashionable. A stole term is usually used to describe a formal evening shawl often not as wide as shawl, but long enough to drape around the body, a neckwear which gives you stylish look as well. A scarf can be thin long rectangle or square piece of fabric and material can be wool, silk or cotton. You can give a style boost to your any casual look with a pretty stole or scarf. If you are looking to play up with your look than a scarf or stole can your best friend. A scarf is must accessory to keep in your wardrobe, you can wear scarves in different styles as bandanas with nice hairstyle, wrap around wrist or ankle, pashmina scarves to wrap around for warmth, muffler style, sarong on beach, tied turtle neck style or may be ascots style worn by men & women. There is no definite list to classify scarves they comes in different shapes, colors, sizes, patterns, textures, seasons & material. Scarves are the one of cheapest way to look trendy, it's something that will be an element of attraction to your attire. Scarves will go with formal wear, casual wear that are easily available and affordable for everyone to buy without any budget worries. Style up your favorite scarf with a top and a pair of jeans for trendy look, pair it with a tank top and a skirt or palazzo for ethnic & stylish look, team up with printed top, a skinny pair of jeans and boots for a casual look. Do have a scarf? use it to style up your look today & don't worry if you don't have one, go n get one it's easily available in local market. 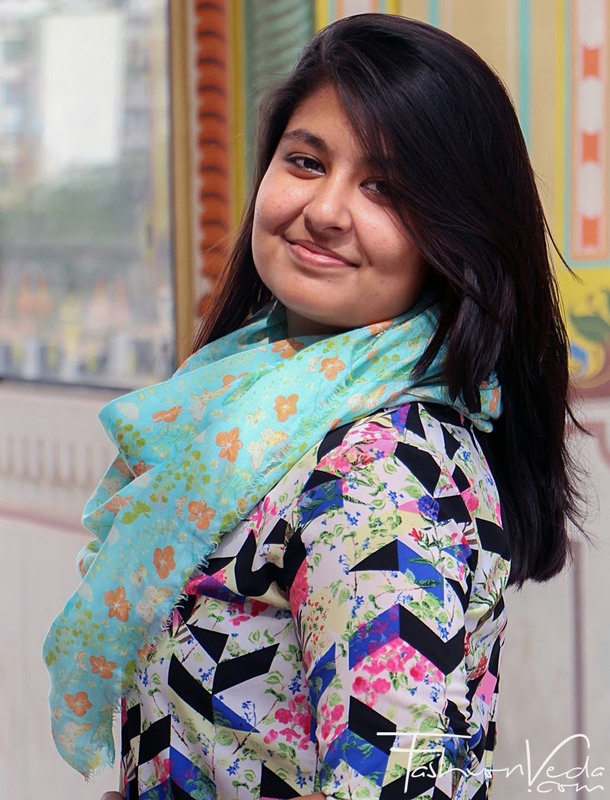 As we are heading to spring summer, so I would recommend you to buy cotton scarf with floral print in light color and just add it to your look n shine this summer with new style.